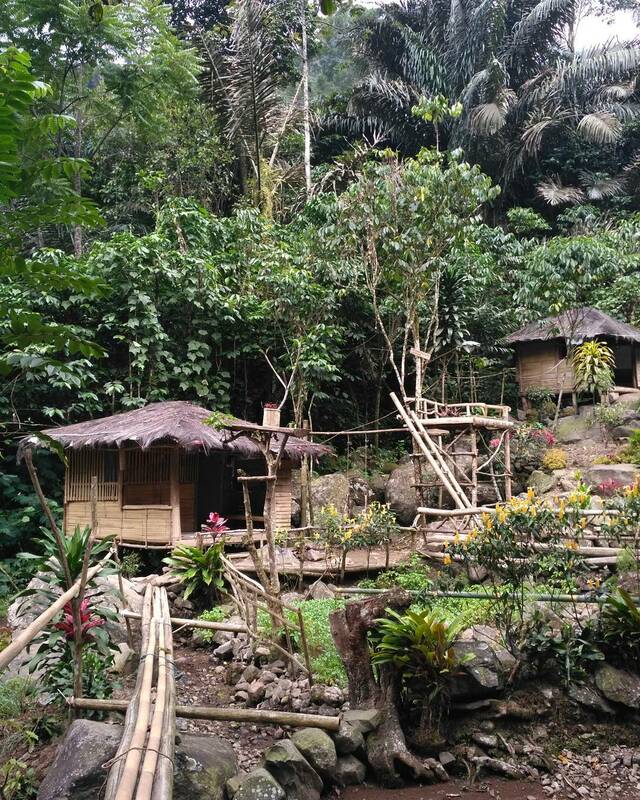 Kampung Senyum is located in Cibeusi Village, Ciater, Subang. 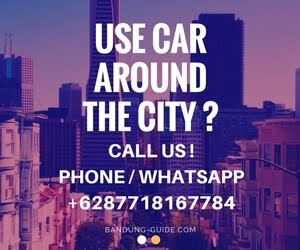 This location can be reached approximately 1 hour from the direction of Subang city and about 2 hours if taken from Bandung. Enter through the Ciater hot spring. There the vehicle going to Cibeusi village will be asked to turn right and follow the path to Cibeusi Village. If you have arrived at the Village Cibeusi, will be seen ticket ticket booth that is managed by local Karang Taruna (village youth). At the counter the local clerk will explain some curug and tours that are in Cibeusi. To go to Kampung Senyum and Curug Cibareubeuy from Cibeusi Village there are 2 common routes in use. The first route is through the mountain (recommended for those who are accustomed to mountain trekking). The second route is the paddy route (recommended for beginners). The visitors just follow the flow of the river to Curug and Kampugn Senyum. Do not worry about getting lost yes, because many guides go to the waterfall and you can also wonder the local villagers are really friendly. The journey to Kampung Senyum, approximately 1 hour away by foot. But the guarantee deh will not feel cape, because many resting places along the road with a variety of typical foods that murmer, and that is important in many very friendly people. Once met can be familiar immediately. Upon entering the village of smile you will find a memo board written by Abah Rosid (Owner of Kampung Senyum) to sound the kentongan as much as 5x. You will enter a village with typical rural bamboo houses alongside the Cibareubeuy Curib stream stream. Experience to Kampung Senyum extraordinary. You will be immediately welcomed by Abah Rosid and the very friendly Wife and guide us around the smile village. If you want to stay in Kampung Senyum, you just pay Rp. 20.000, - / Person. Abah Rosid also provide mattress facilities, pillows complete with blankets. To eat do not worry yes with the cost of Rp. 15.000 / person you can eat rice liwet with side dish typical Kampung village.